Here is your chance to steal a Polaris Outlaw. For a limited time only, save up to $4,500 on Polaris high performance Outlaw ATVs. Santa may have some more room in his sack this year! 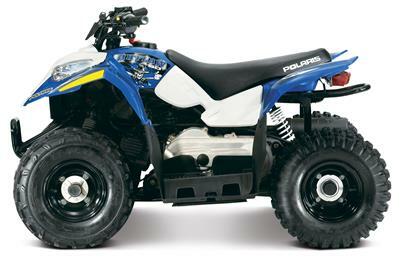 Until Christmas, Polaris have slashed prices on Outlaw youth ATVs. For a limited time only, Polaris is offering a FREE Outlaw 50 (valued at $1999) for the kids when you purchase a new Ranger or Adult Ranger RZR at a participating dealer.